Had things been different, George Washington – Commander-in-Chief of the Continental Army during the American War of Independence, one of the Founding Fathers and first President of the United States – might have been raised near Whitehaven and not in Virginia. Washington’s grandmother, Mildred, was from Virginia. 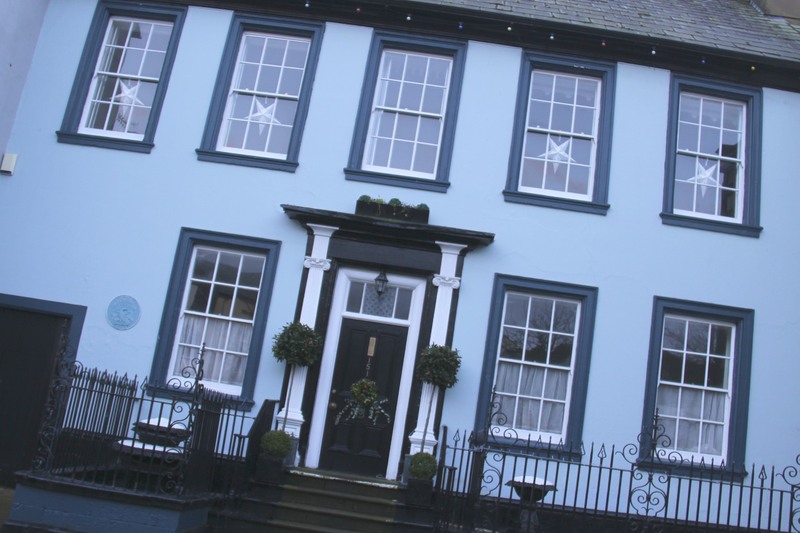 When her first husband, Lawrence Washington, died she married George Gale, a tobacco trader from Whitehaven. 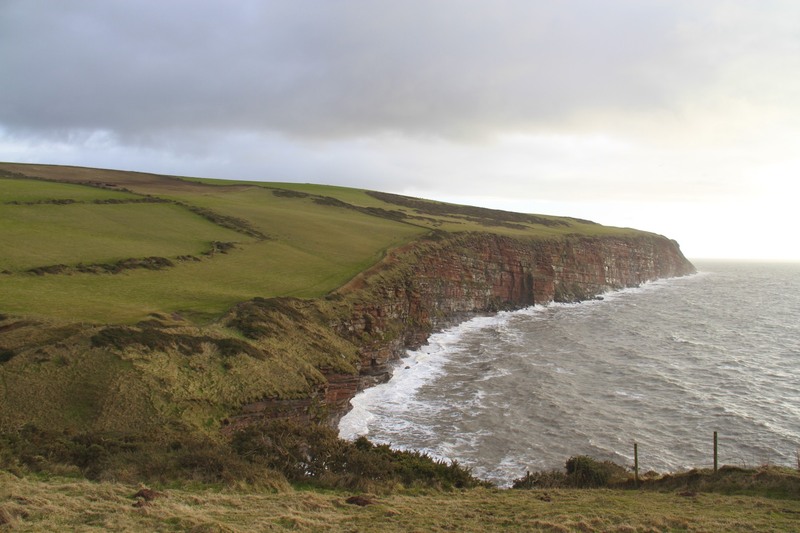 Mildred moved to England with her new husband, dying in Whitehaven in 1701. 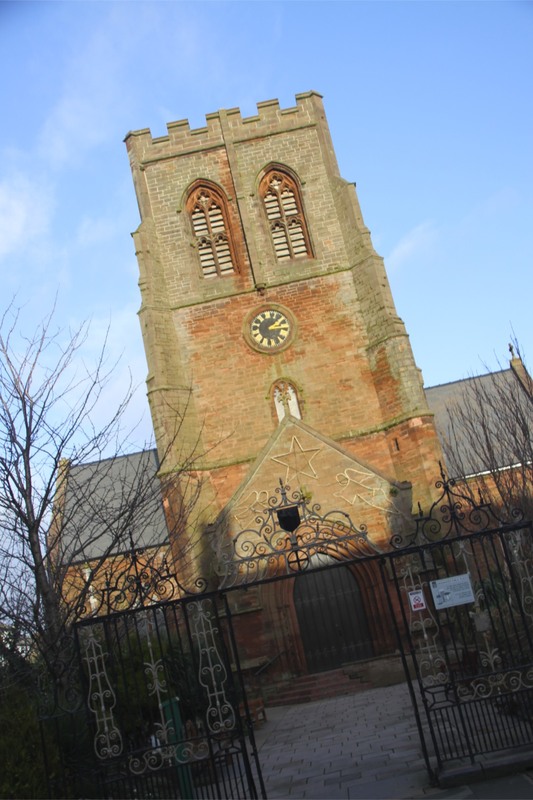 She is buried in St. Nicholas’ Churchyard in the town centre. Had Mildred brought her son, George’s father, Augustine Washington to England with her, the course of Washington’s life and, quite possibly, the course of the American War of Independence might have been different. 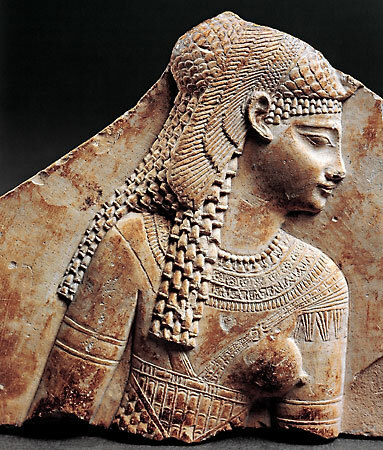 A Cleopatra’s Nose Theory for modern Western civilisation. Mildred died following childbirth, she was buried alongside her baby daughter and a woman called Jane, Mildred’s African slave servant. It was illegal for an African to be buried in a British graveyard at the time; for Jane to be buried in the family plot alongside Mildred speaks volumes about their relationship. The connections between this part of England and the United States are many, largely due to trade and emigration. There were particularly strong links with tobacco plantations in Virginia, and Whitehaven became the preeminent centre of imported tobacco. Many of the town’s wonderful Georgian buildings were built from the profits. 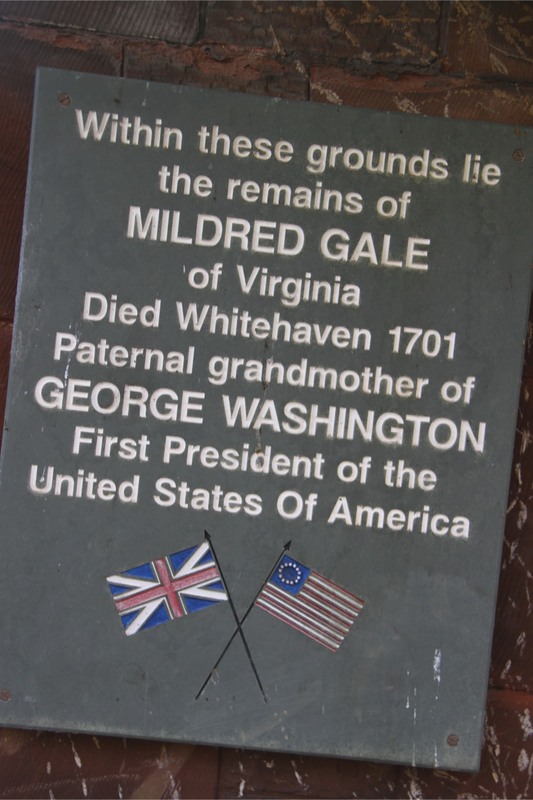 Its no surprise that Washington’s family lived in Westmoreland County, Virginia, named after the County of Westmoreland, England, close to where Whitehaven is situated. 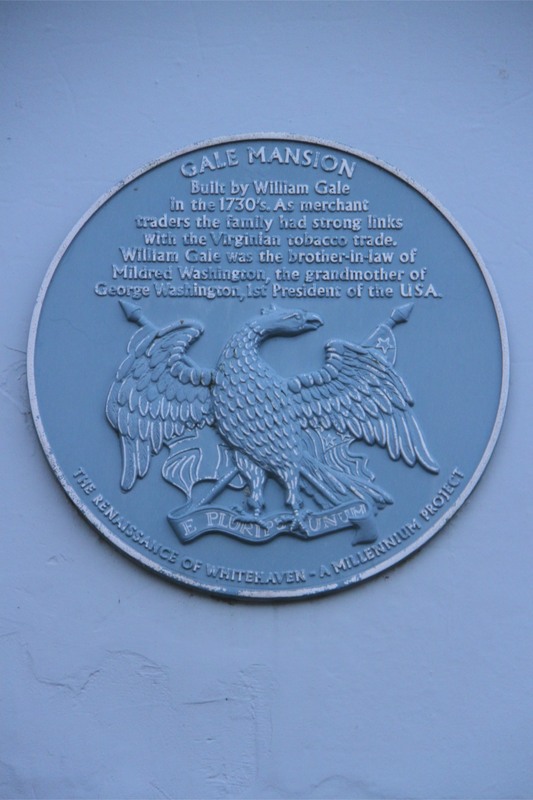 The town of Whitehaven, Maryland, was founded by George Gale, Mildred’s second husband. Another connection with the American War of Independence is non-other than ‘father of the American navy’, John Paul Jones. Jones was Scottish but moved to Whitehaven as a boy, he began sailing from the port when he was thirteen. He regularly visited Virginia, where his brother had settled, sailing on various trade and slave ships. History has been favourable to Jones, but his reputation as a fighter for American Independence can’t erase his reputation as a violent ship’s captain. He once flogged a man so severely he died, another time he killed one of his crew in an argument. Jones had serious disputes with the High Command in America and was dispatched to France. Sailing from here, acting more like a pirate than a war commander, in 1778 he attacked and attempted to sack his former home of Whitehaven. He planned to set fire to the ships in the port – over 200 vessels were moored there – and burn the town to the ground. His men came ashore and spiked the main harbour guns, but the attack was bungled from the start. He might still have been successful, but his crew went to a pub and got drunk. The townsfolk were alerted and Jones fled. 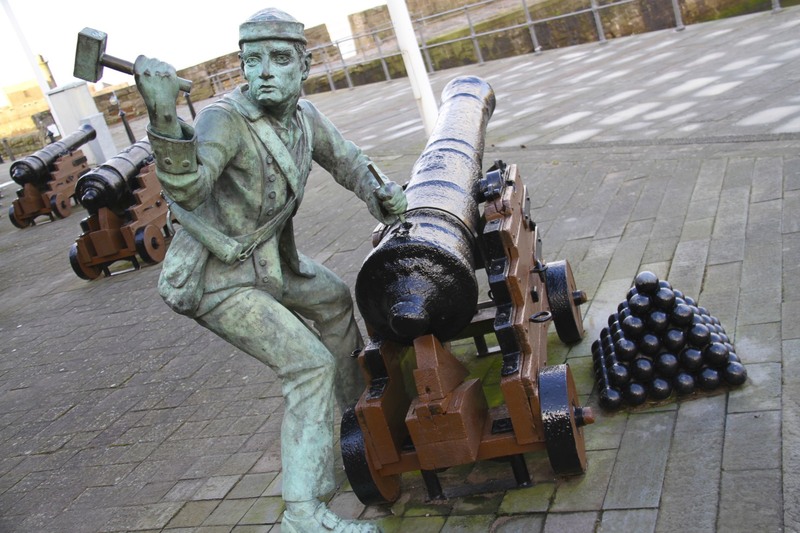 It’s hard to imagine today, but Whitehaven was a vital British port and a justifiable military target. Although its easy to believe there was something personal in Jones’ attack on the town. I’m glad he failed to burn the town, it would have destroyed some wonderful architecture. Today the attack is commemorated by a sculpture on the harbour. A sailor, defending the town, is firing a cannon towards the ocean where Jones’ ship would have been. The cannons are originals from 1778. For a small town, Whitehaven has seen its share of historical incident. I wandered the streets as the winter sun set and darkness descended, and found myself in a small square where a plaque caught my attention. This recounted a bizarre incident. 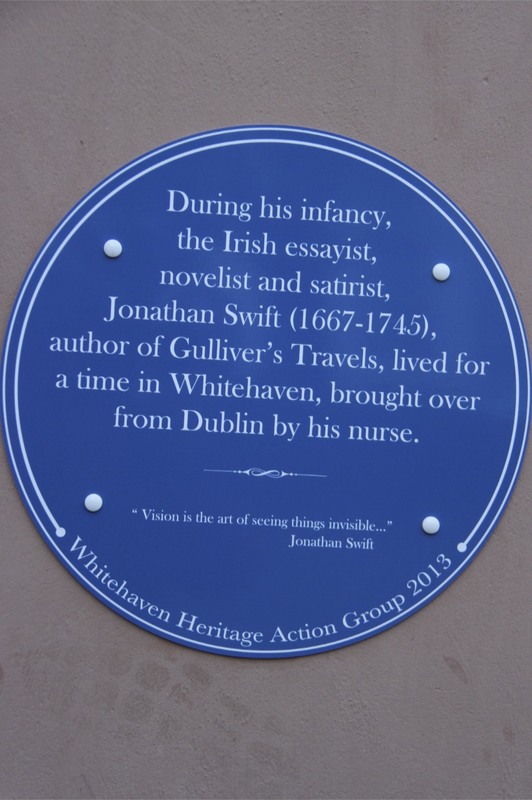 It transpires that Jonathan Swift, the legendary Irish satirist, lived in the town as an infant. A little more research into this uncovered a genuine mystery. His nurse essentially kidnapped him and came to Whitehaven where Swift lived in her care for three or four years. 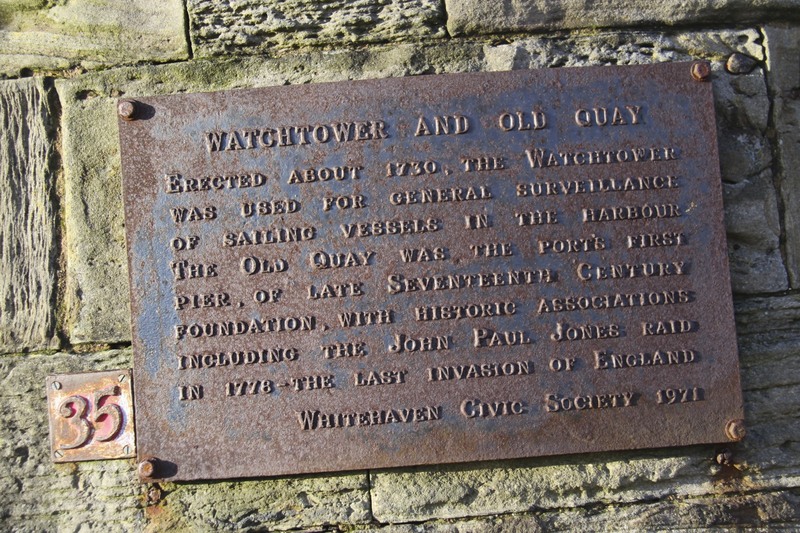 Debate rages about the importance of this experience for Swift, but some biographers believe his masterpiece, Gulliver’s Travels, was influenced by witnessing the activity around Whitehaven harbour. The house Swift lived in still stands, and has exceptional views over the port. I imagine the young boy watching the activity around the port. Seeing ships coming and going to destinations all over the world, and exotic produce being unloaded on the docks, must have left a strong impression. 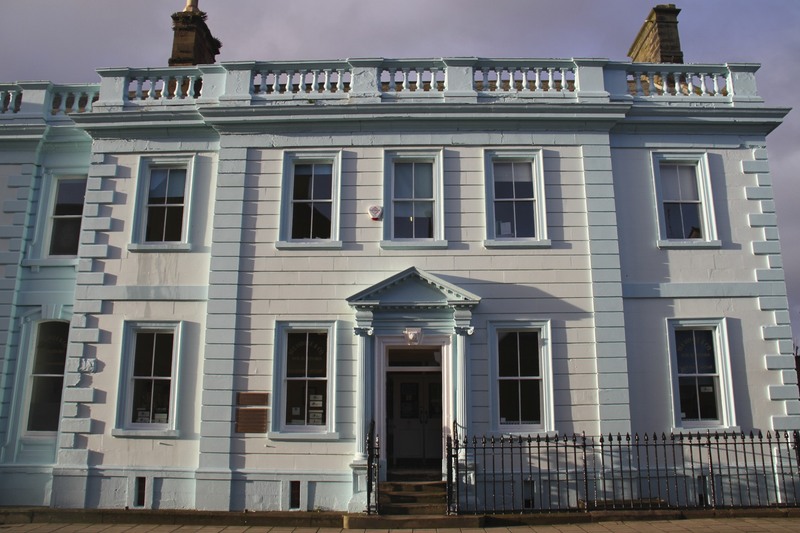 One biographer has even claimed that Swift was born in this house…another Cleopatra’s Nose Theory, perhaps? 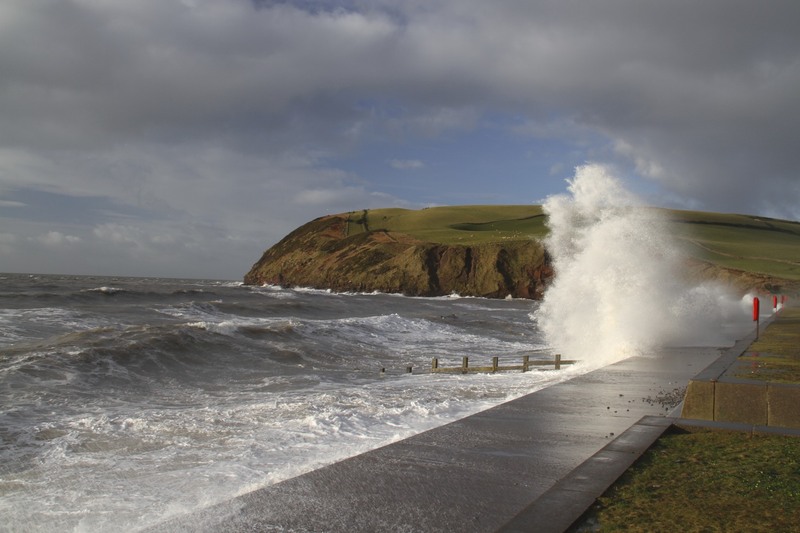 Whitehaven, a small town on England’s north west coast, feels a bit down-at-heel. In rival towns people refer to those from Whitehaven as Jam Eaters, supposedly because they can’t afford meat in their sandwiches. 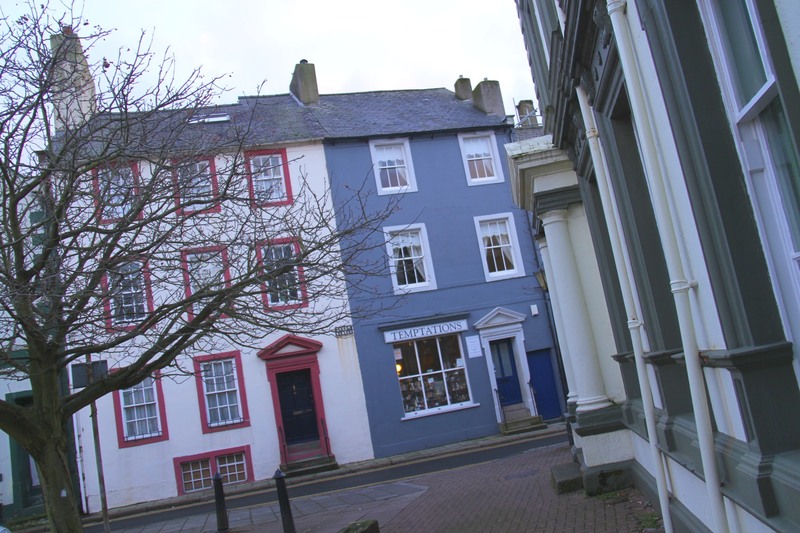 Yet, walking around the town centre, it’s clear that there is something extraordinary about Whitehaven. Here, in this unlikely spot, is the largest collection of Georgian-era buildings outside of London. Ignore the cars and modern shop frontages, and the town is like a Georgian theme park. 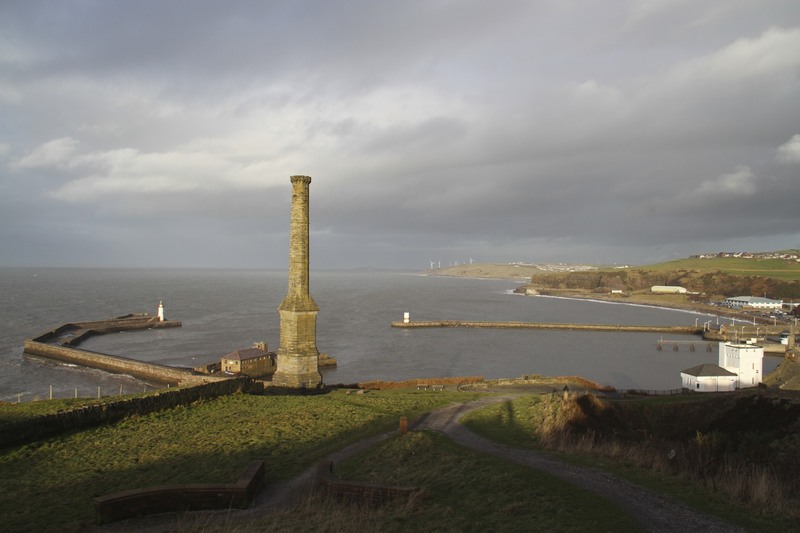 The story of Whitehaven is the story of a powerful aristocratic family, the expansion of global trade throughout the 17th and 18th Centuries, followed by stagnation and decline in the 20th Century. It is also the story of the Trans-Atlantic Slave Trade, and the role of British trade in shipping millions of Africans into slavery in the Americas. 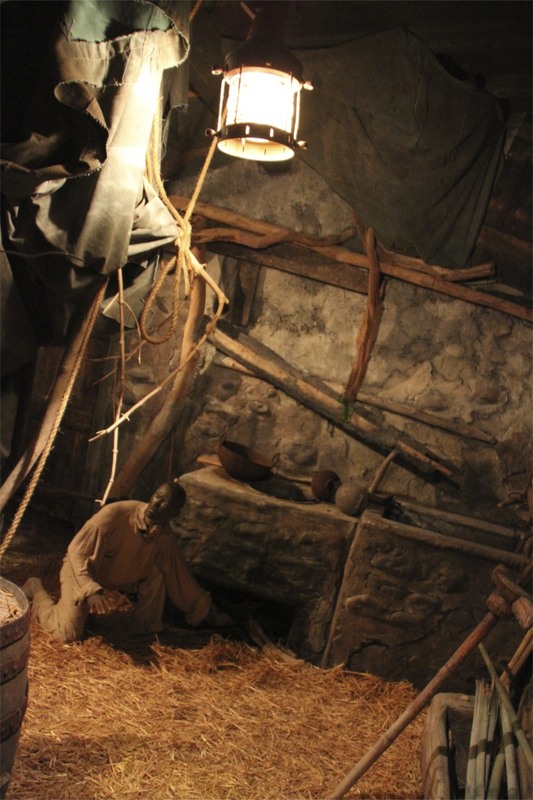 Whitehaven grew rich from trade that depended upon slavery: tobacco from Virginia and, most famously, rum and sugar from slave plantations in the Caribbean. 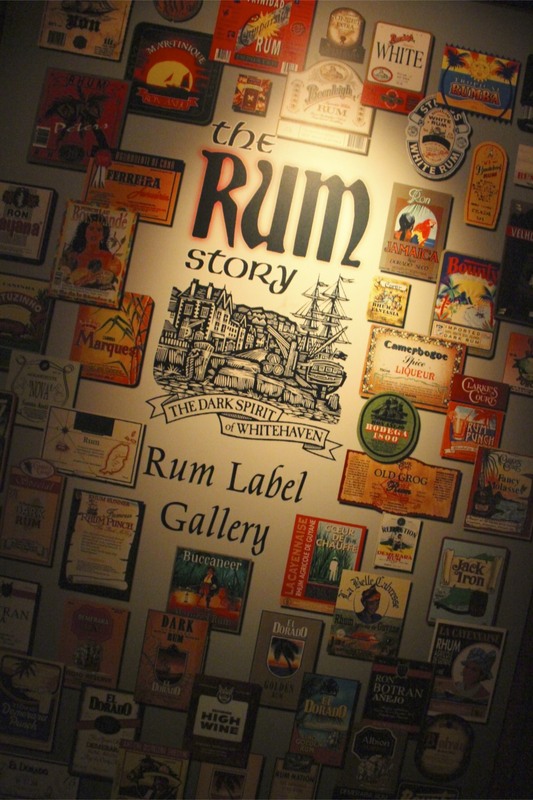 The Rum Story, a museum telling this history, was my destination after walking from St. Bees. Whitehaven was owned by the Lowther family – Earls of Westmoreland and the county’s wealthiest aristocratic dynasty. It was built on a grid system designed by Sir Christopher Wren, and has been described as the first ‘company town’ of the Industrial Revolution. 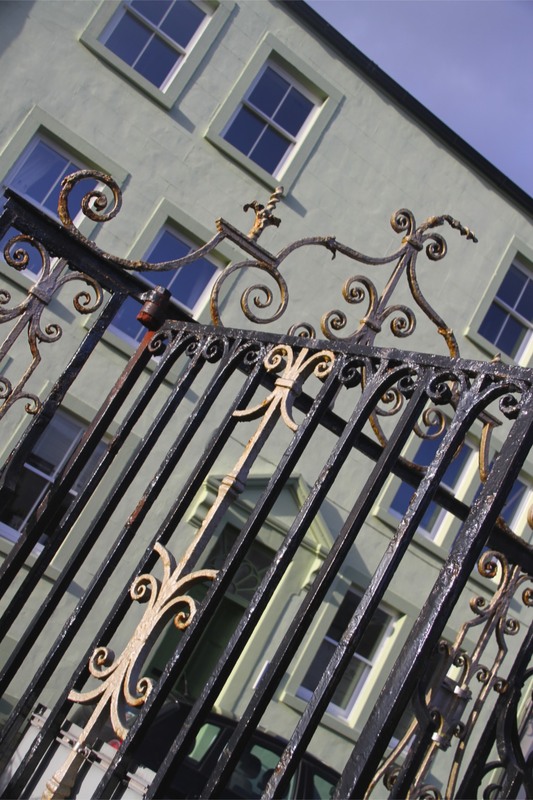 The Lowther family made a fortune from exporting the region’s huge coal reserves to Ireland. This trade made Whitehaven wealthy, and released a vast amount of money for ship building and trade with the New World. 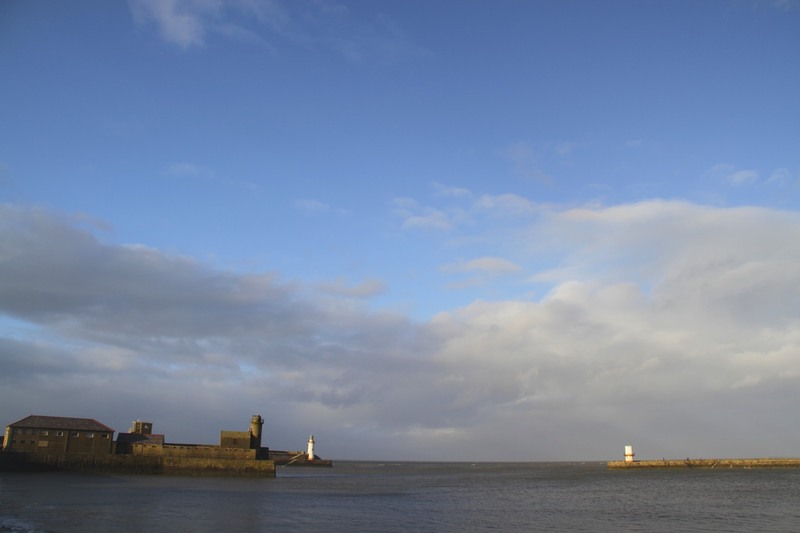 One of the most important ports in the country, Whitehaven had extensive trade with the colonies in the United States and the Caribbean, and was a major departure point for emigrating Scots and Northern English. The major port for tobacco from Virginia in the 17th Century, it is a town with intimate links to the slave trade. 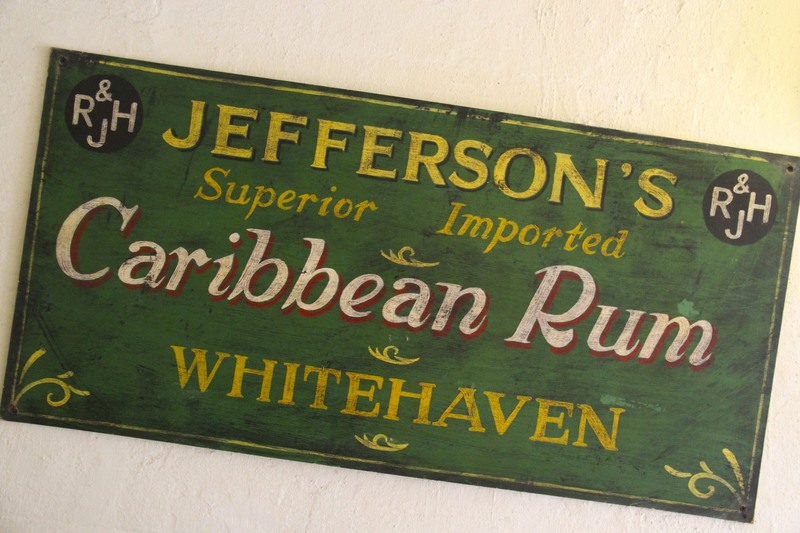 In the 18th Century, rum distilled from molasses on slave plantations in the Caribbean would become synonymous with Whitehaven. 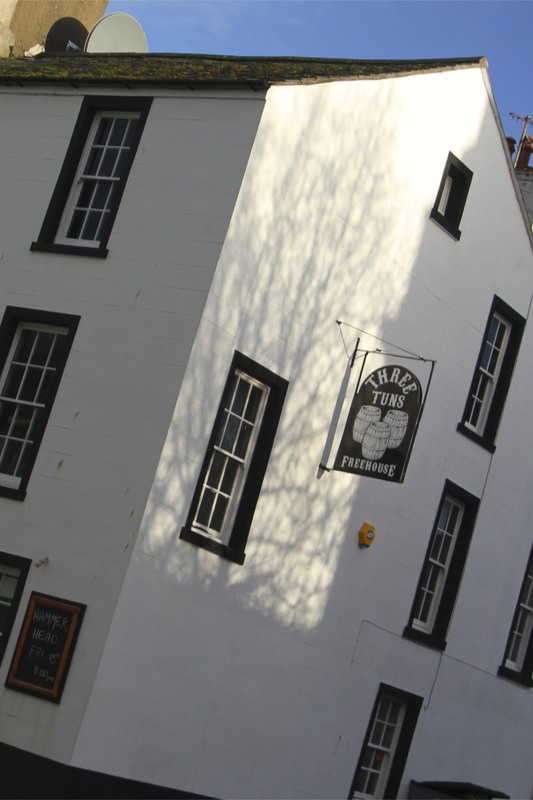 Rum and sugar became Whitehaven’s driving force, it’s ‘dark spirit’. 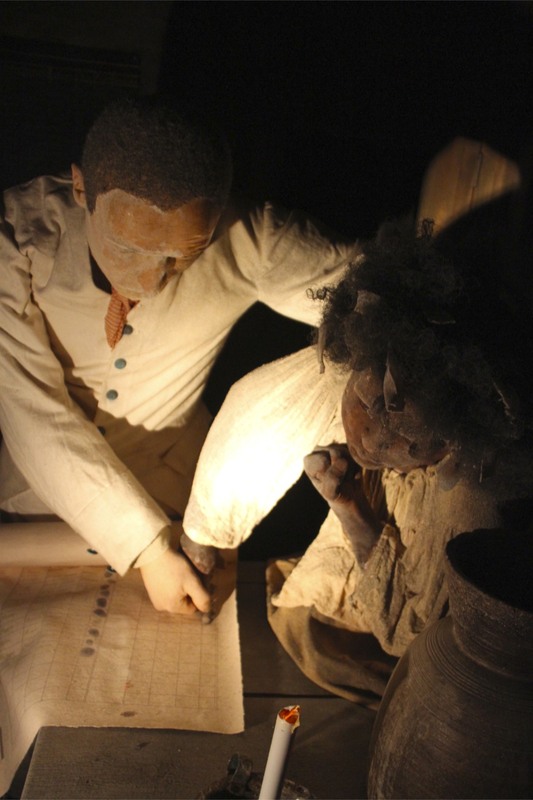 Ships sailed from Whitehaven loaded with manufactured products, including rum, to be traded for African slaves; they were shipped in appalling conditions to the Caribbean and traded for sugar and rum; which were shipped to Whitehaven. One of the region’s most famous products, Kendal Mint Cake, was the result of Caribbean sugar arriving in Whitehaven. Yet, the town became a centre for opposition to the slave trade and ended its role in the ‘human trade’ around 1770. 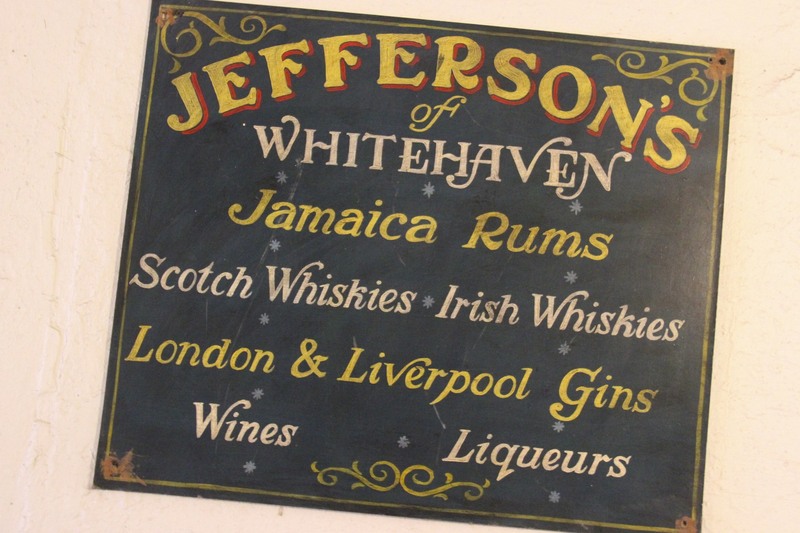 The Rum Story museum explores Whitehaven’s rum and slave connections by tracing the story of local wine merchants, the Jefferson family. 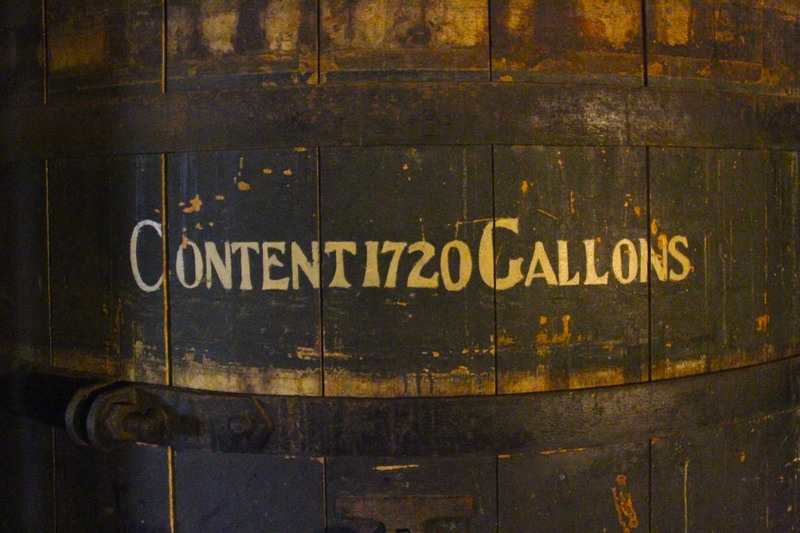 Rum was first discovered by slaves working in sugar plantations in the Caribbean. Despite having a reputation as being “a hot, hellish, and terrible liquor”, rum soon became popular, especially on the boats which plied the trade between Europe, Africa and the New World. 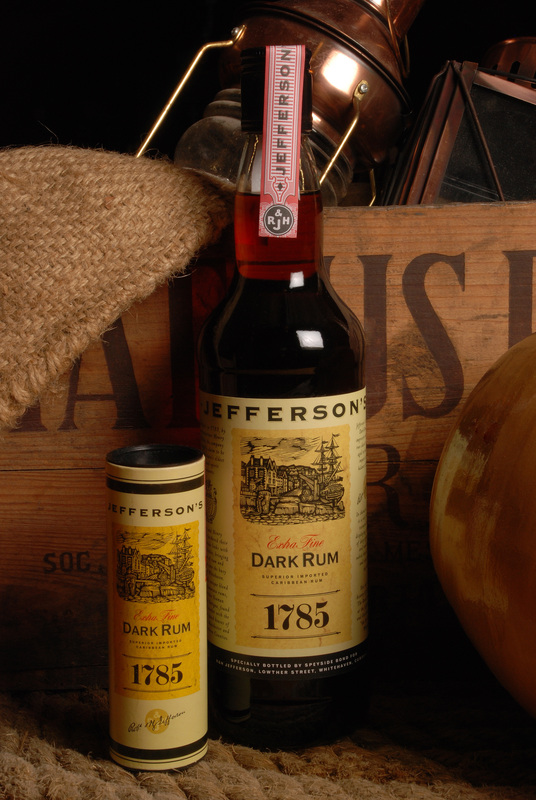 The Jefferson’s owned a slave plantation in Antigua, which produced sugar, molasses and Jefferson brand rum. The museum is fascinating, it does a good job of explaining the brutality and brutal economics of the slave trade, and the terrible working conditions slaves faced in the Caribbean. 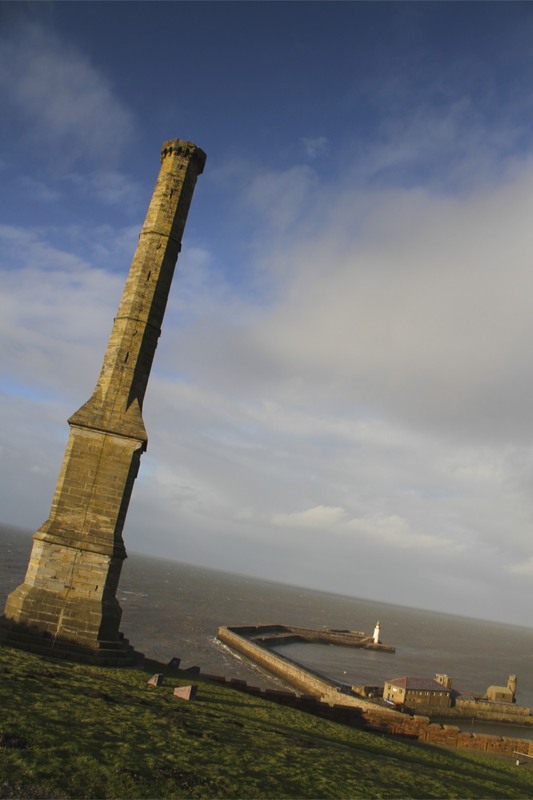 It also shines a light on little known aspects of Whitehaven’s history. 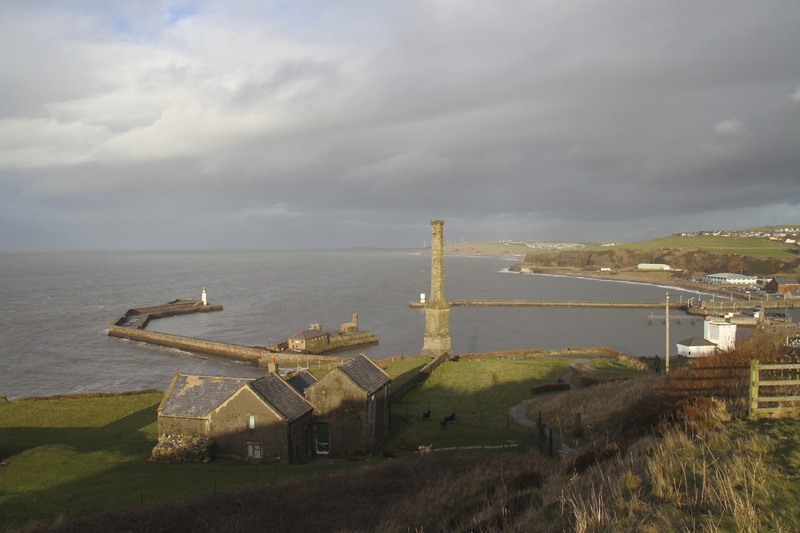 One of the least ethnically diverse places in the country today, in the 1770s and 1780s there were a large number of free slaves arriving in Whitehaven. Some were servants of families returning to England during the War of American Independence; others were slaves freed because they fought for the British and emigrated to England after the war. The museum benefits from being housed in the original Jefferson buildings. 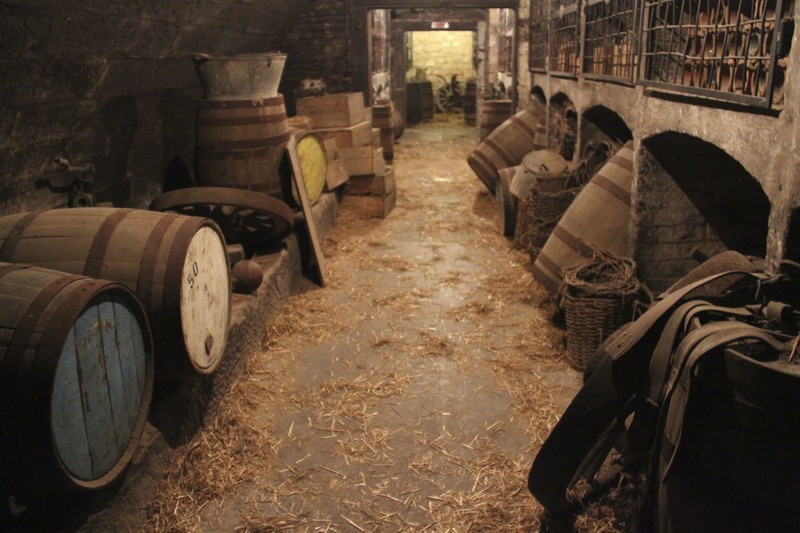 You walk through the 18th Century Bonded Warehouse, the original cellars and even the office as it would have looked in the 19th Century. 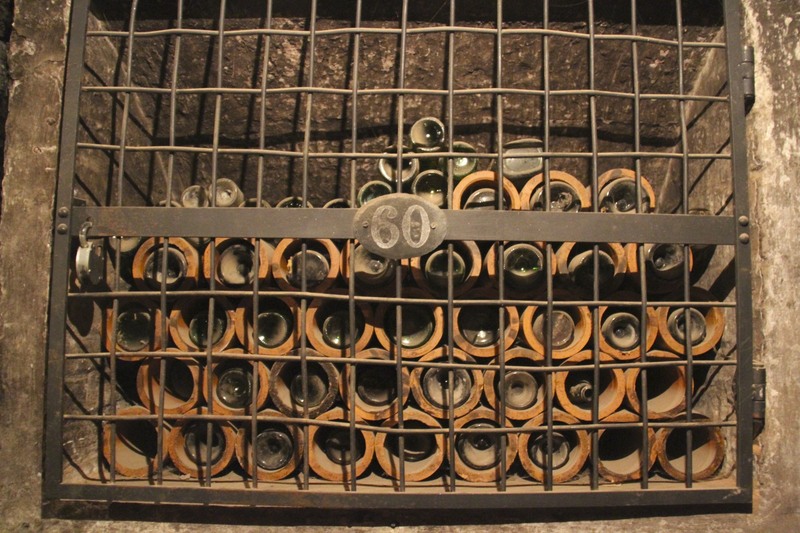 There are exhibitions on the traditional use of rum in the navy – which paints a terrifying picture of general drunkenness; a section on the island of Antigua; and a section dedicated to rum and prohibition. Perhaps best of all, they offer you a taster shot of rum as you leave. 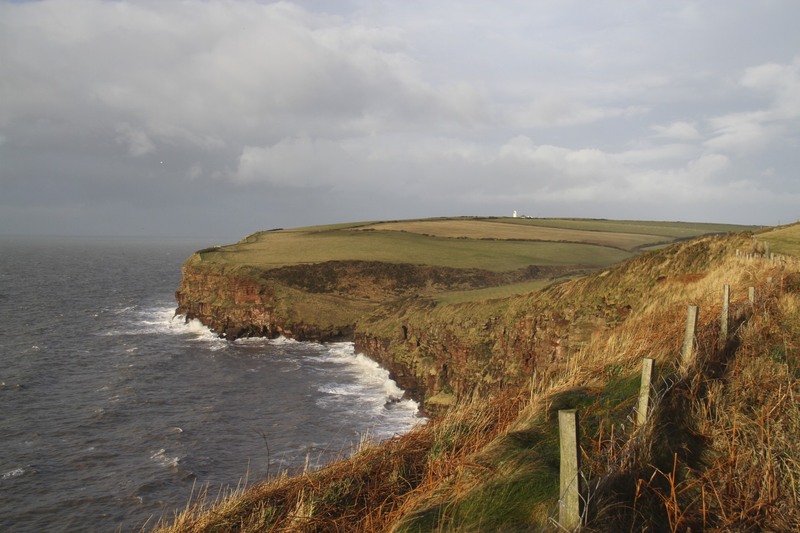 Leaving the tumultuous crashing waves of the Irish Sea behind, and narrowly avoiding ‘a furious devout drench’*, I headed north over the three hundred foot-high red sandstone cliffs of St. Bees Head. 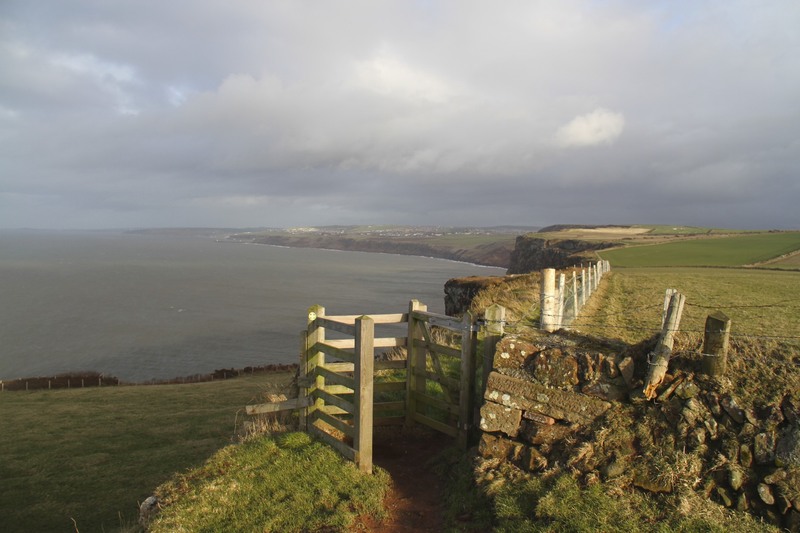 This is the first (or last) segment of the 192 mile-long Coast to Coast walk, which after a few miles turns inland towards England’s East Coast. One day I’ll do the whole route, but this time my ambitions were more local. I was on my way to the Georgian-era town of Whitehaven, six and a half miles from St. Bees. The giant fissured red sandstone cliffs make this a dramatic segment of coast. They also make it one of the most important, and largest, seabird colonies in North West England. 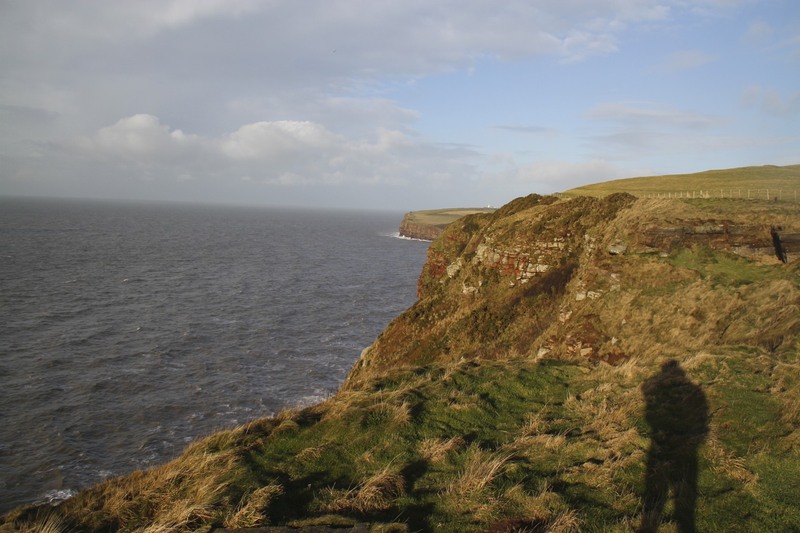 Much of the area is an RSPB Nature reserve: cormorants, guillemots, kittiwakes, razorbills, white throat herring gulls, fulmars, rock pipits, whitethroats, linnets and stonechats all live here. I mention this array of our feathered friends because, as you walk along the cliff tops, there are times when the smell of fishy excrement is almost overpowering. Reaching the top of St. 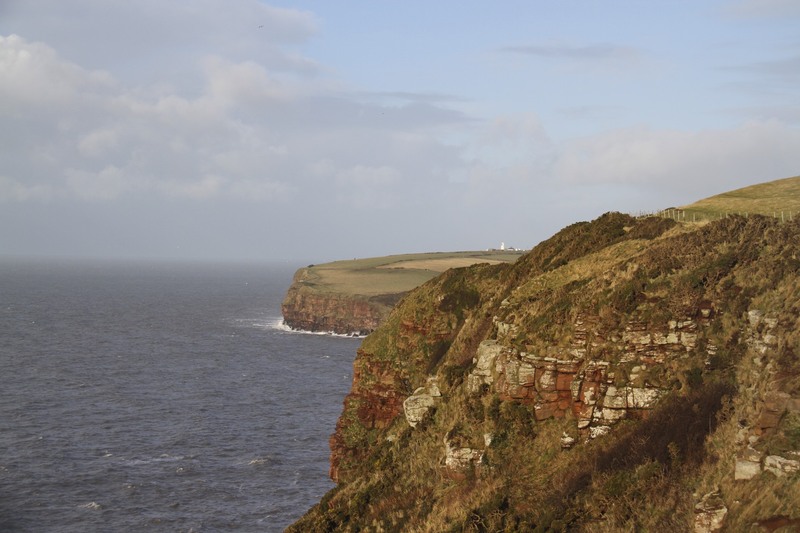 Bees Head, you are greeted by breathtaking views north across the cliffs and south along the beaches of St. Bees. On a clear day you can see the Isle of Man and both the Scottish and Irish coasts. 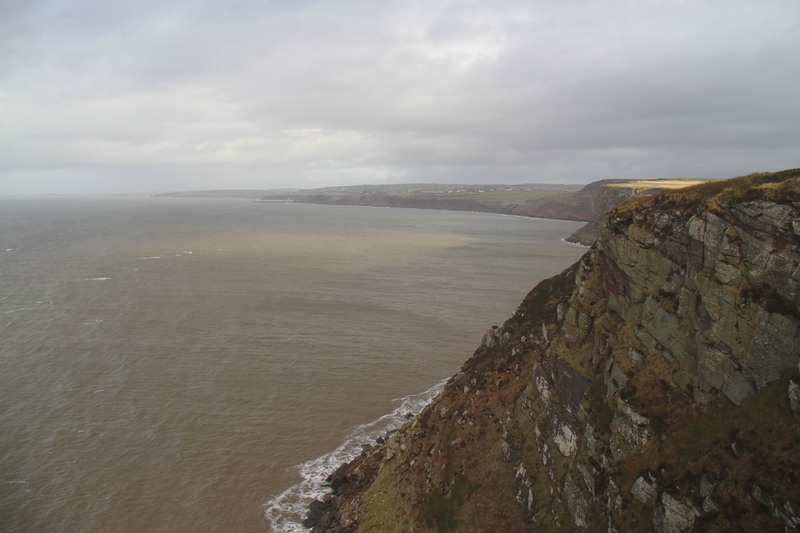 From this vantage point, its easy to understand why this is the only section of the English coast between Wales and Scotland to be designated as a Heritage Coast. It is truly beautiful. The pounding waves below adding a suitably melodramatic soundtrack to accompany the visual treat stretching ahead. From St. Bees Head you can clearly see the St. 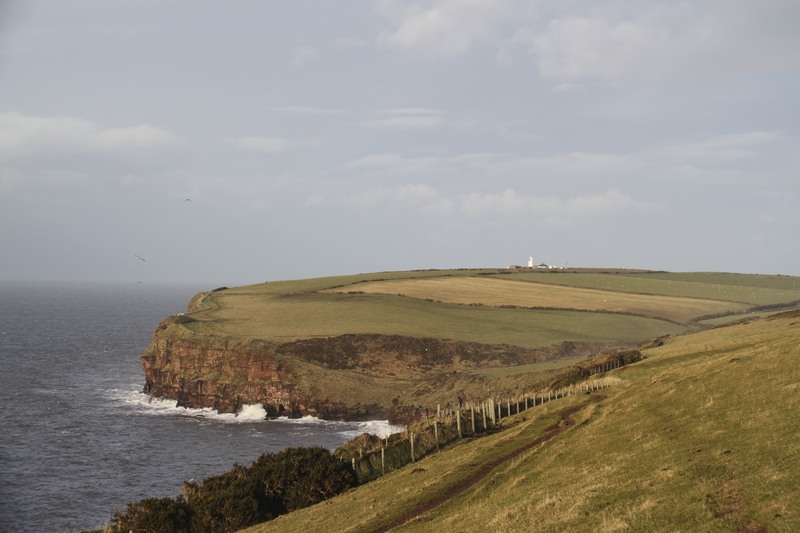 Bees Lighthouse, a speck of brilliant white surrounded by green fields on top of another cliff top hill. 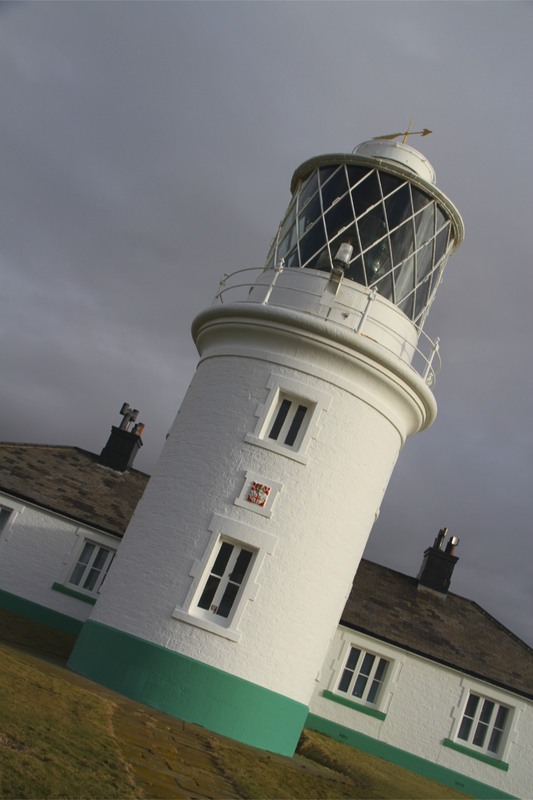 This is North Head, which has the distinction of being the most westerly point in Northern England. 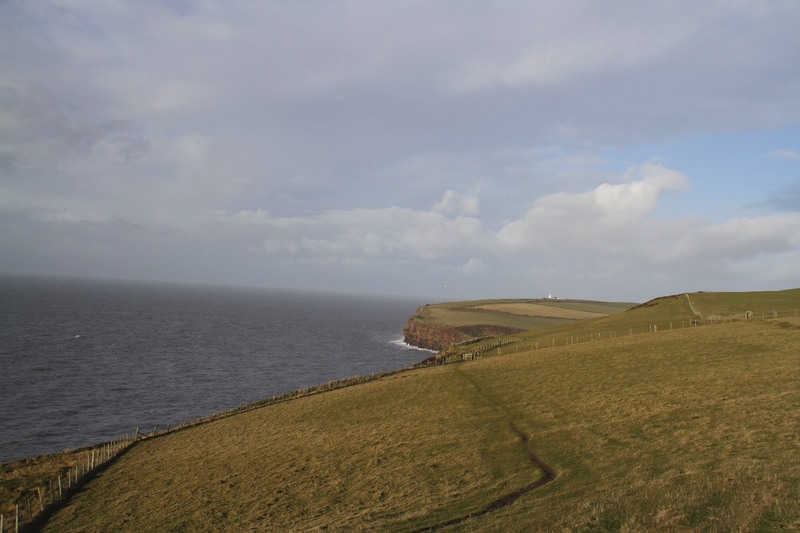 Following the path downwards, the route passes through farmland before reaching a natural gap between the two headlands. This is Fleswick Bay, where its possible to walk down to a sandy beach nestling underneath the towering cliffs. At least, its possible when the tide is out. 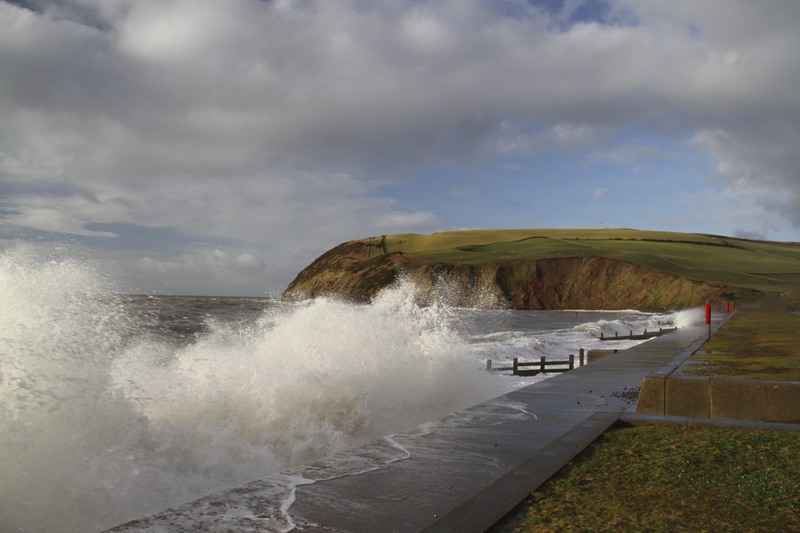 When I was there, an unusually high tide was most definitely ‘in’, waves thundering into the bay. Clambering back up the other side, I was soon in front of the lighthouse. 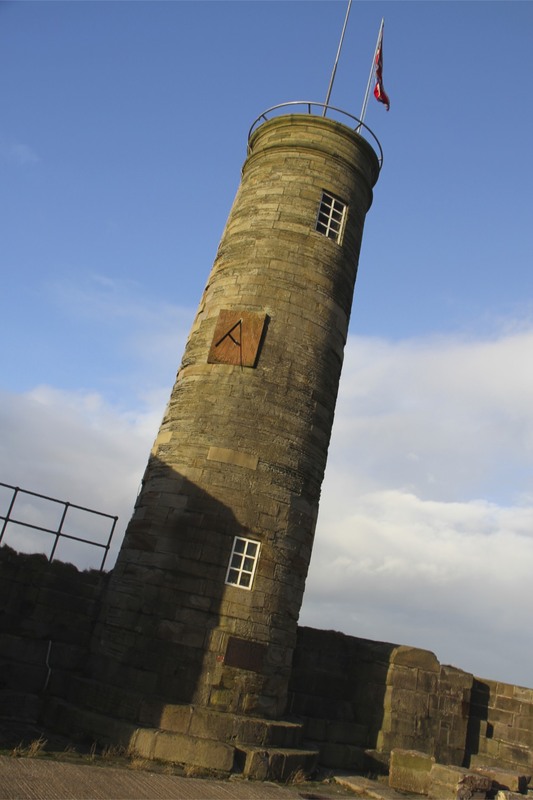 There has been a lighthouse here since 1718, but the original one burnt down in 1822 – until then, it was the only surviving coal-powered lighthouse in the country. The current lighthouse replaced it. Today, electrified and automated, its beam of light can be seen 21 nautical miles away. 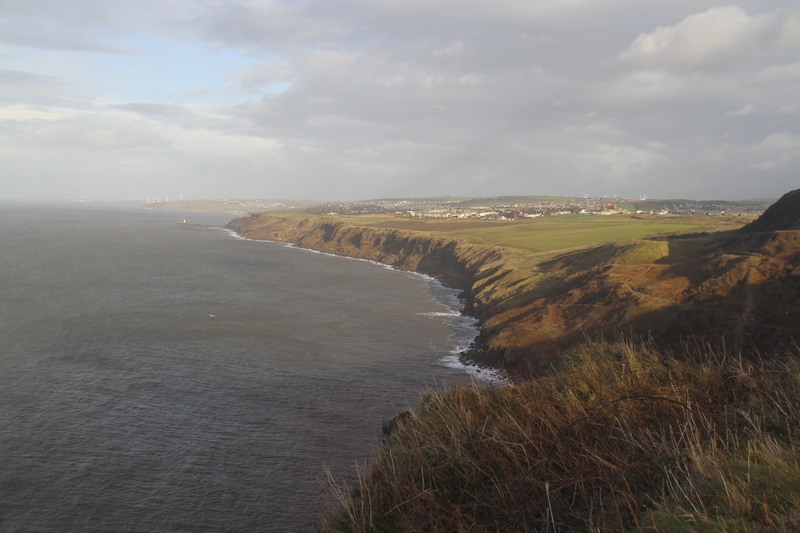 Walking around the headland of North Head, you soon see the town of Whitehaven in the distance. There were still three miles of walking left to do, but at least I could see my destination. 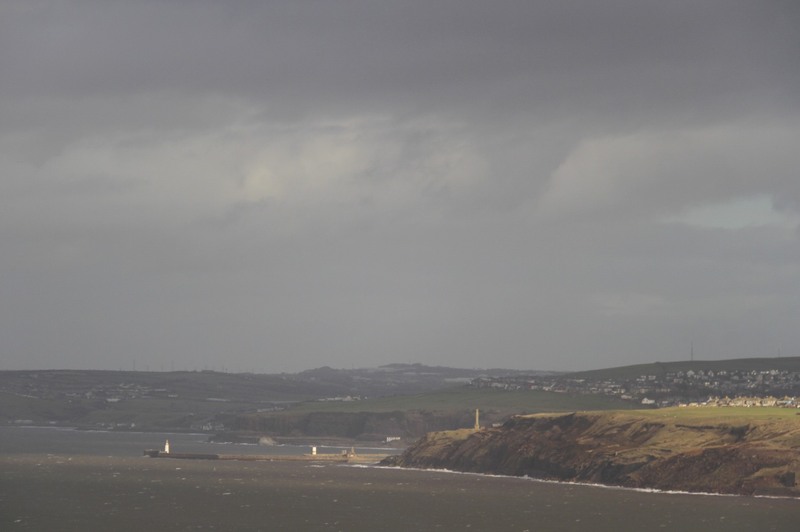 The sun was illuminating the two small lighthouses at the entrance to Whitehaven harbour and the Candlestick Chimney, a former ventilation shaft built in 1850 for one of the region’s many coal mines.